Showing results by narrator "Brian W. Robinson"
If you've ever wished you could find the exact phrase or idea that could instantly change your sales outcome, then look no further. 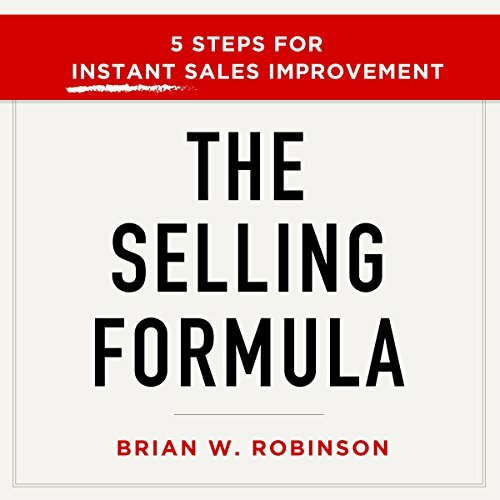 In The Selling Formula, Brian W. Robinson gives you five powerful steps that he's meticulously developed, tested, and used for over 20 years as a top-performing sales professional and marketing innovator - steps that are proven to increase sales instantly and dramatically. Plus, you'll discover the top 10 most powerful selling phrases, how to overcome the 15 most common selling challenges, and the keys to becoming a selling master. An Overture of Sales Knowledge.